With more than 40 years of experience in helping buyers and sellers fulfill dreams of owning their own home, investing in real estate to acquire additional assets and create additional income, or purchasing and selling their businesses, Joyce Cooper, aka Ms. Dixie, is a tremendous source of information for her customers here in the Coachella Valley. When asked if she is a true “Southern Belle”, Joyce just laughed and said the name evolved because “When I worked at Dixie Escrow I answered the phone as Joyce from Dixie Escrow.” It must have been an omen because 4 years after working at Dixie Escrow, Joyce and her husband bought Dixie Escrow from the former owner and ran the company for 20 years. It is exciting to be working at CV Escrow. CV Escrow is a forward thinking company and the owners put their clients, buyers, sellers and their employees first. 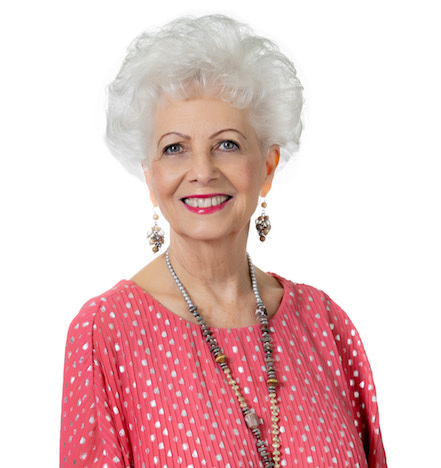 Joyce’s escrow experience is wide and varied. Not only is she proficient with residential sales, commercial properties, refinances and exchanges, and Indian leasehold transactions, she also is well qualified in handling the sale of business and liquor license transactions. Believing the key to successful escrow transactions is giving the real estate clients, buyers and sellers her special personal touch and a feeling of confidence in dealing with an experienced escrow officer has made Joyce successful in establishing a large repeat customer base while continuing to attract new clientele. Joyce maintains her professional designation through the California Escrow Association as a Certified Senior Escrow Officer. In addition, she remains active in the Desert Escrow Association having served 3 terms as President of the Desert Escrow Association and presently serves as Secretary for this region. In addition, she has taught Escrow I and Escrow II at the College of the Desert. Outside of work, Joyce enjoys spending time with her family, including her daughter and son, and her five grandchildren and playing the piano.